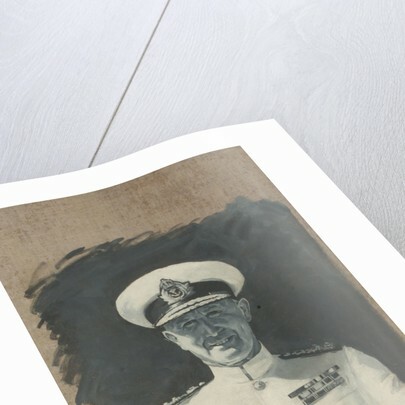 A half-length full face portrait in admiral's white undress uniform and wearing a cap. The plain grey background is only partially sketched in. 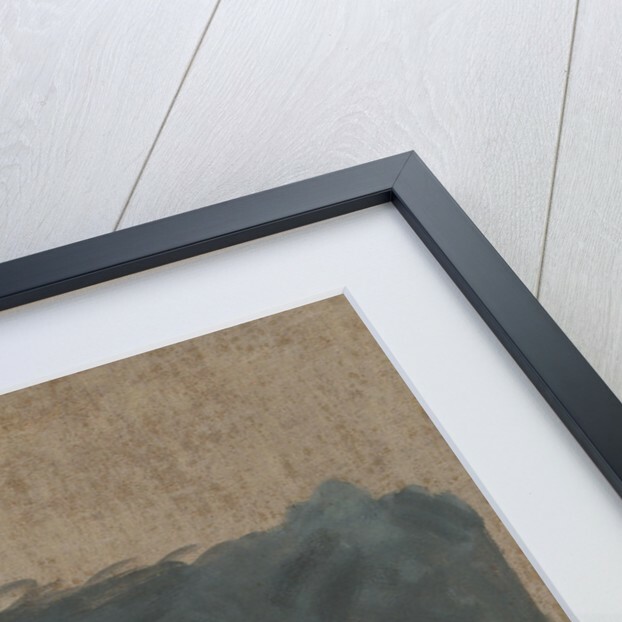 The painting exploits the monochrome qualities of a black and white photograph in order to give maximum effect to the white tropical uniform. For most of the First World War Cunningham commanded the destroyer 'Scorpion' in the Mediterranean and distinguished himself at the landings on the Dardanelles in 1915. As it turned out most of his service was to be in the Mediterranean. In 1918 he joined the Dover patrol in command of the destroyer 'Termagent'. In 1919 Cunningham commanded the 'Seafire' in the Baltic operations against the Bolsheviks. 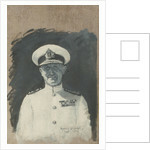 During the Second World War he was in the Mediterranean as commander-in-chief. At the battle of Matapan in 1941 his flag was in the 'Warspite'. 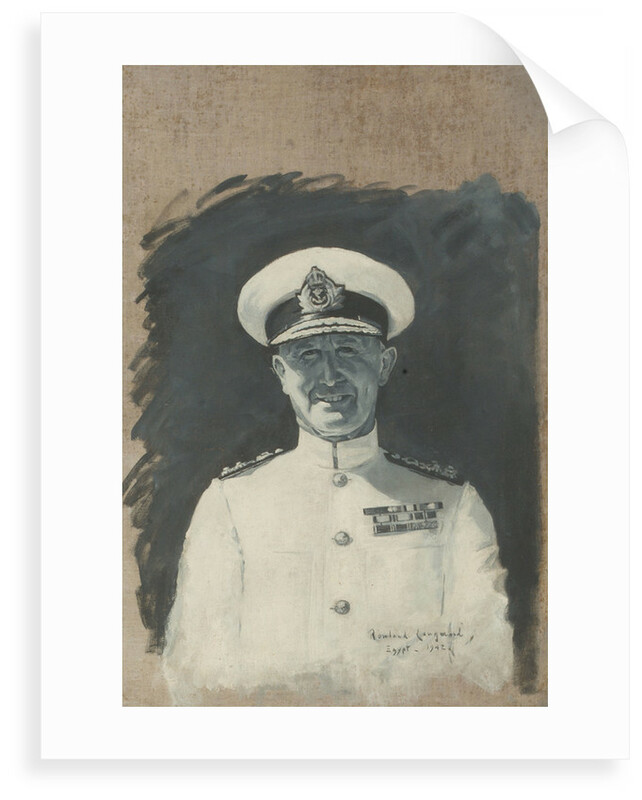 In 1942 he was the naval commander of all the allied ships engaged in the landings in North Africa, which is the period when this portrait was painted. He was subsequently in Sicily and Italy in 1943 with the rank of Admiral of the Fleet. 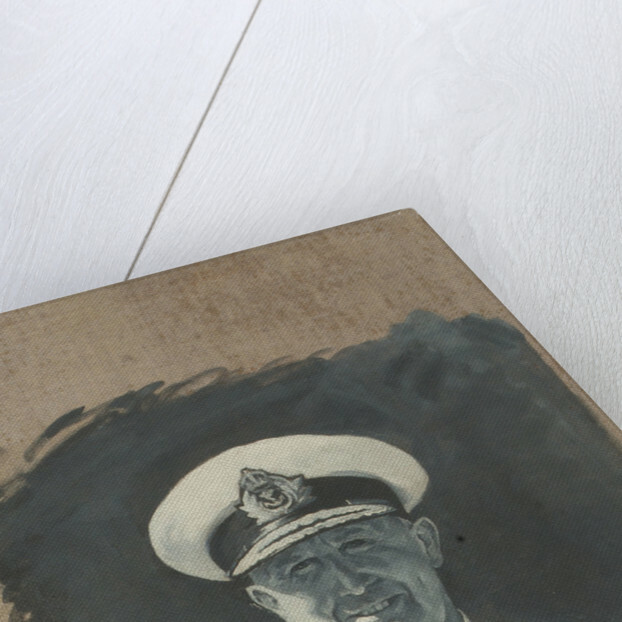 After the death of Sir Dudley Pound he became First Sea Lord from 1943-1946.